Leon Seals, Bills. Here’s a defensive end who arrived in Buffalo with a memorable nickname, “Dr. Sack.” He came out of Jackson State as a fourth-round pick in 1987. 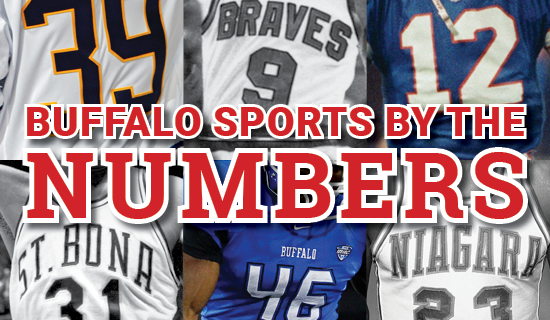 Leon stayed in Buffalo for five seasons, and two of them were Bills’ Super Bowl teams. Others: Jeff Posey, Bills; Torell Troup, Bills; Erik Flowers, Bills. Paul Peck’s Digit Discussion: Dr. Sack is the obvious choice. It’s interesting that two of the alltime Bills draft pick mistakes also wore #96. Torrell Troup was famously taken one pick before Rob Gronkowski. That’s because the Bills were desperate for a nose tackle. Injuries ruined his career. Flowers was one of the few John Butler draft misses. Wednesday, look for a special Sylvester & Peck on Sports podcast with Budd Bailey breaking down 99 through 90.